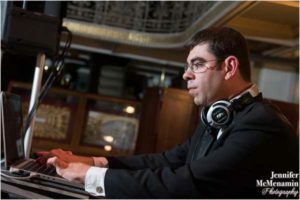 DJ Anthony Simpson has been a DJ almost as long as he can remember – his very first job in high school was being a roadie for a wedding DJ in New York City. “My best friend had the job, and he was a year older than me. 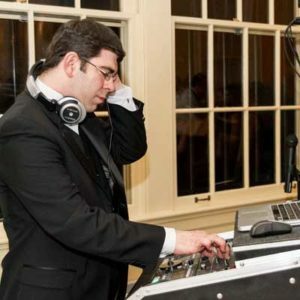 When he left for college, the DJ asked if he had a friend who would like to learn the business and take over as roadie.” Anthony learned so much at a young age about professionalism and the nuances of weddings, and those lessons have stuck with him through today. 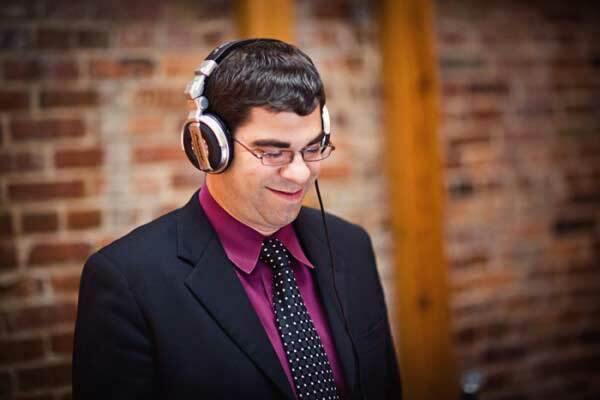 We asked Anthony to share his perspective on music, being a wedding DJ, and more – here’s what he had to say! What do you like about being a wedding DJ? “Performing music is something I’ve always been passionate about, but with weddings it’s so much more than that. I love being able to get to know a couple and work closely with them before the day, and then watching the best day of their lives unfold around them. Music helps to set the mood right from the start, and I really strive to ensure that the happy couple along with their guests have an unbelievable night to remember! This one is hard – I don’t have favorite couples or crowds – I literally like all types of crowds and all types of music. I love working with couples/crowds who are super energetic and want to dance all night long, but I can also relate very well to the quieter couples/crowds who enjoy a more subdued or refined dance reception. I particularly love multicultural weddings because I get to play and work with music I don’t often get to use! I actually kind of enjoy it when clients are more controlling and give me big request lists, but I also like when clients give me nothing and just “let me do my thing.” I’m a bit chameleon, so it’s hard for me to answer this question! I like making people happy, and I take it upon myself to analyze EVERY couple/crowd I get to find that niche that will make them happy stylistically – and put on a killer dance party! Two things: The first is, “You do you.” All the guests know why they are there, so there’s no need to do anything for the sake of “tradition” that may make you feel uncomfortable or that you don’t like. My second piece of advice is simple – TAKE TIME TO EAT SOMETHING!!! Sometimes I am still shocked at how couples will go the whole night and forget to stop and eat the food they picked out because everyone keeps talking to them. Weekdays, I can be found behind the bar at Carmine’s in DJ, where I to share my other passion with the world – great Italian food! I’m an avid sports fan, with a love for Maryland Basketball and the New York Yankees. My wife and I have a mission to visit all 30 MLB stadiums – we’re currently at 8 with 2 more scheduled this year! I’m a member of Mensa and I’m always up for a good philosophical debate. I also enjoy cooking, bowling, fishing, and games of mental skill, and spending time with my wife and 2 cats.